Please note that the content of this book primarily consists of articles available from Wikipedia or other free sources online. 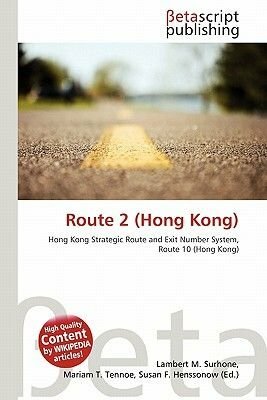 Route 2 of Hong Kong runs from Quarry Bay of Hong Kong Island to Ma Liu Shui of the New Territories, formerly known as route 6, and renamed as route 2 in 2004 under the route numbering scheme proposed in the same year. Eastern Harbour Crossing starting from Quarry Bay, where it joins into Island Eastern Corridor of Route 4, across the Victoria Harbour and ending at Lam Tin. Exit 1 is present in the starting point; exit 2 is present around Lei Yue Mun Interchange.